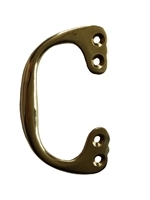 A pair of solid brass 75mm toilet seat handles, or toilet hygiene handles. TRTC High Level Cistern Fulcrum Various Finishes. This pair of Antique Copper toilet seat lift handles enables users to hygienically lift the toilet seat without touching the seat itself. The Burlington Low Level Flush Pipe Kit in Chrome has a traditional appearance, lovingly crafted and hand finished with exceptional care using the finest materials and manufacturing processes. Made in the UK, this fabulous solid brass toilet pull has been cast from a Victorian model and exudes its original charm. This is a perfect addition to any traditional designed bathroom or WC. The TRTC Low Level Flush Pipe is available in a variety of finishes and is perfect for achieving a traditional, or vintage, look in any bathroom or WC. The High Level Flush Pipe is available in a variety of finishes and is perfect for achieving a traditional, or vintage, look in any bathroom or WC. The Burlington Medium Level Flush Pipe Kit in Chrome has a traditional appearance, lovingly crafted and hand finished with exceptional care using the finest materials and manufacturing processes. The Burlington High Level Flush Pipe Kit in Chrome has a traditional appearance, lovingly crafted and hand finished with exceptional care using the finest materials and manufacturing processes. The TRTC Chrome High Level Flush Pipe Kit is perfect for achieving a traditional, or vintage, look in any bathroom or WC. These luxurious bath feet are made from solid Brass offering the highest quality in definition and are a must for a traditional style bathroom. Ideal for complementing any Cast Iron Bateau bath, these Solid Brass feet are available in a brass, or chrome finish. The Burlington Angled High Level Flush Pipe Kit in Chrome has a traditional appearance, lovingly crafted and hand finished with exceptional care using the finest materials and manufacturing processes. 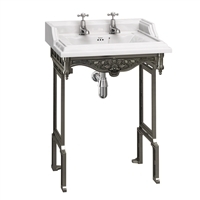 The Burlington Victorian 575mm Basin with Regal Stand has a traditional appearance, lovingly crafted and hand finished with exceptional care using the finest materials and manufacturing processes. 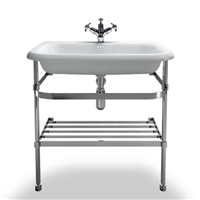 The Burlington Medium Roll Top Basin with Stainless Steel Stand has a traditional appearance, lovingly crafted and hand finished with exceptional care using the finest materials and manufacturing processes. The Burlington Polished Aluminium High Level Cistern has a traditional appearance, lovingly crafted and hand finished with exceptional care using the finest materials and manufacturing processes. The Burlington Large Roll Top Basin with Stainless Steel Stand has a traditional appearance, lovingly crafted and hand finished with exceptional care using the finest materials and manufacturing processes. Create a WOW factor with the TRTC High Level Flush Pipe Kit in Day Glo Yellow. 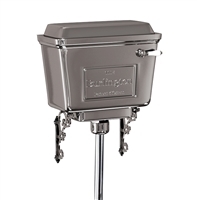 The Burlington Chrome High Level Cistern has a traditional appearance, lovingly crafted and hand finished with exceptional care using the finest materials and manufacturing processes. The Burlington Chrome Low Level Cistern has a traditional appearance, lovingly crafted and hand finished with exceptional care using the finest materials and manufacturing processes. 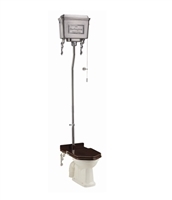 The Burlington High Level Toilet with Brushed Aluminium Cistern & Chrome Flush Pipe Kit has a traditional appearance, lovingly crafted and hand finished with exceptional care using the finest materials and manufacturing processes. 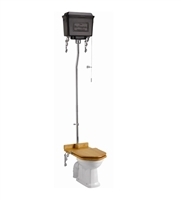 The Burlington High Level Toilet with Black Aluminium Cistern & Chrome Flush Pipe Kit has a traditional appearance, lovingly crafted and hand finished with exceptional care using the finest materials and manufacturing processes. 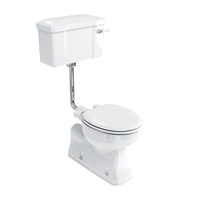 The Burlington High Level Toilet with White Aluminium Cistern & Chrome Flush Pipe Kit has a traditional appearance, lovingly crafted and hand finished with exceptional care using the finest materials and manufacturing processes. 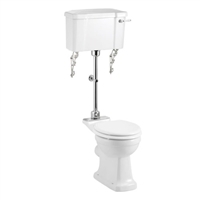 Hand cast at our UK foundry, this Remarkable Toilet Company cistern is the perfect addition for any bathroom, or WC. Traditional in design while echoing the style of the much vaunted Art Deco period this cistern will bring a touch of class to any bathroom. An exclusive TRTC design available at an affordable price. 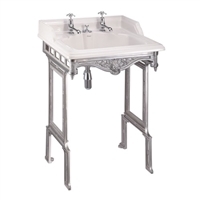 The Burlington Classic 650mm Basin with Invisible Waste & Chrome Basin Stand has a traditional appearance, lovingly crafted and hand finished with exceptional care using the finest materials and manufacturing processes. The Burlington Classic 650mm Basin with Polished Aluminium Stand has a traditional appearance, lovingly crafted and hand finished with exceptional care using the finest materials and manufacturing processes. 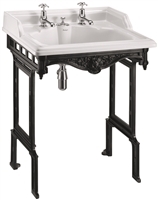 The Burlington Classic 650mm Basin with Black Aluminium Stand has a traditional appearance, lovingly crafted and hand finished with exceptional care using the finest materials and manufacturing processes. 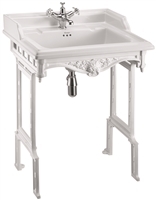 The Burlington Classic 650mm Basin with White Aluminium Stand has a traditional appearance, lovingly crafted and hand finished with exceptional care using the finest materials and manufacturing processes. 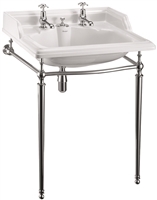 The Burlington Classic 650mm Basin with Invisible Waste & Polished Aluminium Stand has a traditional appearance, lovingly crafted and hand finished with exceptional care using the finest materials and manufacturing processes. The Burlington Classic 650mm Basin with Invisible Overflow & Black Aluminium Stand has a traditional appearance, lovingly crafted and hand finished with exceptional care using the finest materials and manufacturing processes. Copyright © 2013 TRTC Ltd. All Rights Reserved.